St Louis Restaurants – BBQ is probably the most difficult thing to report on and/or review. This is as scientific as it gets when it comes to cooking. The recipes are secret, some are generations old and others are new and rising fast in popularity. The sauce is just one aspect of it, then you have the grilling or smoking techniques that are mastered. That’s why they are called pitmasters. 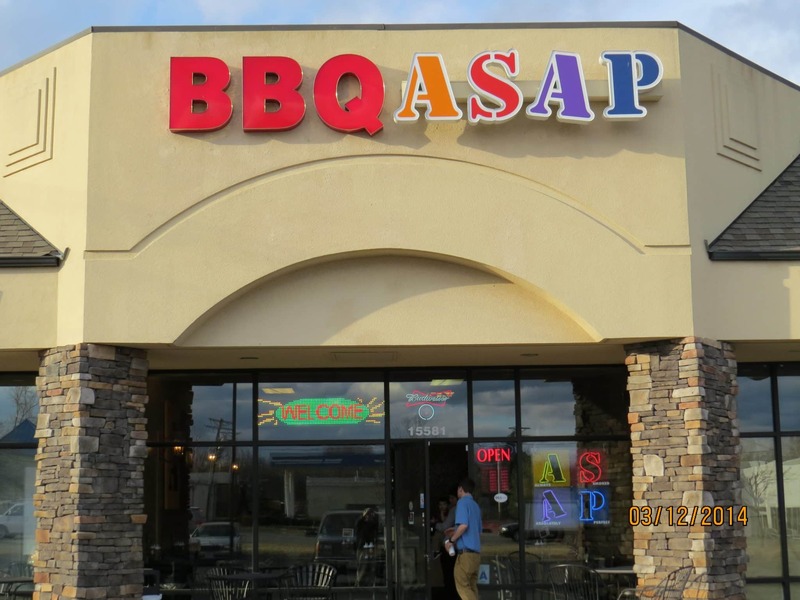 We recommend BBQ ASAP! We congratulate Jim and Mary Randall on accomplishing some of the most difficult tasks in the restaurant business. Starting a restaurant from scratch and offering the customers something that many restaurants miss, high quality unique food. We promise that you won’t find anything like what BBQ ASAP has to offer, Jim and Mary, regardless how far you have to drive!